Weekly Karaoke shows are what we do best. We are customer-focused, experienced event managers our hosts do more than just sing well. 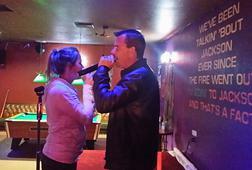 With a loyal following of karaoke singers we know how to blend karaoke with your current activities. 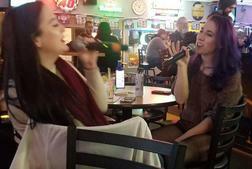 We build your clientele through social media networks targeting people looking for karaoke. The songs we supply consist of a massive list of top quality tracks, legally updated daily, with all the latest hits and the classics. The atmosphere the karaoke generates is spectacular. 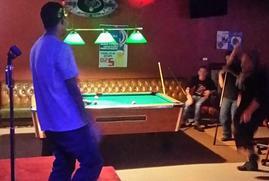 We focus on drawing and retaining high value patrons who will make karaoke part of their weekly entertainment. We know how important your wedding day is and we are extremly pride of our track record for memorable events you enjoy from planning to performance. Special events can be tailored to fit your style. If you already know what you want then we are ready. Need a little help and that's great. From holiday galas to 21st birthdays, and high school grad nights needing karaoke for that all night party we are ready to play the perfect melody. We are available for your 2016 holidays parties. Please call earlier if you are interested in booking us for a wedding in 2017 it can fill up fast! More than a magazine, visit here for where to find a place to karaoke if you are out of town along with all the latest in KJ news. Want a regular weekly karaoke show for your Pub, Club or Venue?